A quick break every hour will help break up the stress of a hectic day at work, lighten up the mood, get the blood flowing and help your brain go into high gear. 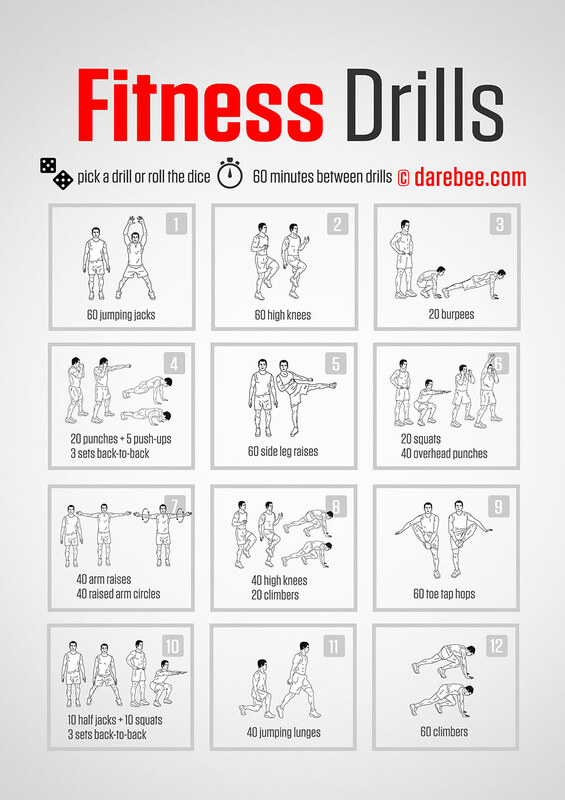 Every 60 minutes do one of the drills from the chart. option 3) roll the dice and match the number that comes up with the drill. Note in IRL #1 if you roll any doubles. Perfect for: Those days when work at the office seems to be designed to mentally kill you and you could really do with a little mental break without taking a whole hour to get away from your desk. This is really designed to help stress-bust your hectic office day.